Let’s get real for a second: the holidays aren’t always the “greatest time of year” for everyone. It can be a lonely and isolating time for many people, especially if you don’t have that special someone to kiss under the mistletoe, or are living far away from your loving family. And if you’re broke or even simply trying to save money, the stress can seem inescapable. Even if the holidays are your favorite time of year, it’s still incredibly stressful and mentally exhausting. From compiling holiday gift lists to figuring out what your budget should be this year, it’s important for you to treat yourself with much-needed self-care. You may find yourself sleeping less while socializing and spending way more than you (and your bank account) can handle, so you need to listen to your body and mental state. Of course, the holidays are all about giving to others and spreading as much cheer as you can — but you can’t do that if you yourself aren’t taken care of. To help a little, I’ve compiled a list of 15 simple but effective ways to take care of your mental state and overall health during the holidays. 1. Take time away from friends to spend time with yourself. All too often, I see friends and loved ones overworking themselves during the November and December months. From attending holiday parties to hosting your own, the holidays can feel like a never-ending cycle of talking, spending, and talking even more. Make sure to spend time with yourself this time. You’re going to need peace and quiet to calm yourself down when you feel overwhelmed and anxious about everything you have to do. Dedicate at least one night a week to just focus on you. 2. Respect the heck out of your budget. It’s so easy to overspend, especially when you want to give all of your loved ones something special this year. But, you need to first respect what you can and cannot spend money on. Write yourself a budget and give yourself breathing room for bills, rent, and emergencies. Stick to it, because there’s nothing worse than stressing out about your utility bill on Christmas day. 3. Bake, bake, and bake some more (or find a different soothing, mindless-yet-mindful activity). Piggybacking off of respecting your budget, a cheap and fun way to do that is by baking yummy treats for your neighbors, friends, and family members. And you don’t have to just stick to the basics! 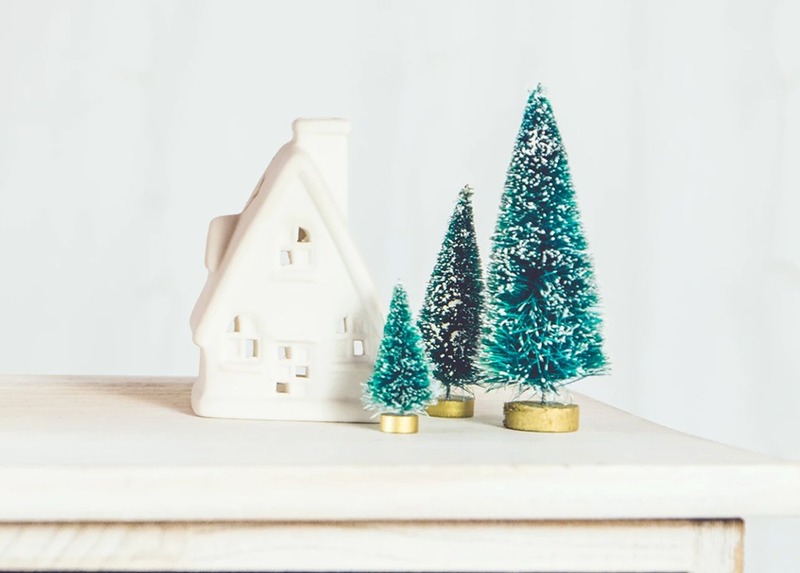 From creating your own cookie cutters to using food dye for your Rice Krispie treats, your loved ones will be sure to fall in love with your homemade presents. And bonus, you can save some for yourself without spending another penny. 4. Exercise at least once a day. Never underestimate the power that exercise has on your body and your mind. Don’t have a gym membership? That’s totally fine (and honestly, same) because you can do almost anything the gym offers you at home. When you’re feeling stressed out about family drama or feeling sad about being far away from home on the holidays, take a walk around your neighborhood. It’s an excellent and free way to release some steam and get some endorphins. 5. Relax in an Epsom salt bath. One of the best ways to relax after a terrible day at work or just to pamper yourself before a huge party, is to take a bath. (And it’s totally fine if you don’t have any of those fancy Lush bath bombs. The secret to a relaxing bath costs less than five bucks at the drugstore, and will ease all your aches and pains from all the stress you’re dealing with. Epsom salts have been around for years and will seriously change your life in a matter of seconds. 6. Cook up an epic homemade meal you can be proud of, instead of ordering in. We all know that there’s a certain high you get when your food comes to your door only 30 minutes after pressing the order button, but it’s also super costly. And my guess is, with the right recipe, you can cook up some of your favorite meals with a fraction of the cost. Fancy some Thai food or pizza? Learn how to make your favorite foods in your own kitchen, and stock up on those ingredients so you always can enjoy them in the comfort of your own home. 7. Be kind to yourself. No matter what your holiday plans are or aren’t, please remember to treat yourself with love and respect. If you’re feeling lonely or a little sad, don’t beat yourself up and don’t put yourself into dangerous situations. Reach out to friends. Remember to breathe and remind yourself of all the things that are awesome about you. You are never alone. 8. Attend more group activities. Group activities equal less money and less stress. With websites like Living Social or Groupon, planning group outings and social activities is easier than ever before. Want to get your hair done? Use a Groupon and have a friend tag along. Want to go to a Christmas gala? Look up discounted prices for drinks and food options and split it with your bestie. 9. Make homemade holiday decor. Gone are the days where you have to spend half of your paycheck on light up reindeer and flashing outdoor lights. You’d be surprised what some construction paper and scissors can do for intricate and pretty home décorations. If you’re struggling with a snowflake or other paper design, Pinterest is a free and easy way to find some great works of art. 10. Stop yourself from eating (or drinking) your feelings. With cold weather coming through, an urge to overeat or over-drink can also follow suit, especially if you’re feeling down. But instead of drowning your sorrows in too much champagne, talk to a loved one about how you’re feeling. You most certainly aren’t alone, and I’m positive you aren’t the only who has the case of the holiday blues. 11. Be grateful for the simple things, instead of the luxury items. In today’s world it’s so easy to be disappointed when you see other people carrying new iPhones around and Michael Kors handbags, but please don’t fret! Be thankful for what you do have and for your family and friends. The people in your life are worth far more than something you can purchase at the mall. 12. Have a spa day with your friends. Don’t have enough to spare in your budget to pay over 50 bucks for a pedicure and manicure? Round up your girlfriends and collect all your nail polish colors to have a fun night in. Not only will you get a chance to catch up with your buddies, but you’ll also have cute toes and nails without breaking the bank. 13. Shop with one (or both) of your parents. Parents have a way of always keeping you in check, and that applies to shopping, too! When you’re shopping with your mom or dad, or another parental figure you’re close with, they won’t let you get anything other than the necessary items on your list. This way, you won’t overspend and won’t get things you don’t need. 14. Spend a part of your budget on yes, you guessed it: yourself. While you’re making lists for presents and gifts for your loved ones, don’t forget to save yourself a little bit of money for what you want, or even to get something you know need, but feel guilty getting. It’s so important to give yourself some love and remember your own needs and wishes. 15. Make your own face and body scrub with ingredients you have at home. Spend some time pampering your face and body with items like brown sugar, eggs, and honey. You can even make your own face masks, exfoliating lotions, and shaving cream. Saving money while feeling and looking beautiful is honestly the best kind of deal, if I do say so myself.